Professional acupuncture treatment from the comfort of your own home. Our Acupuncture home visit services cover Bexleyheath surrounding areas . 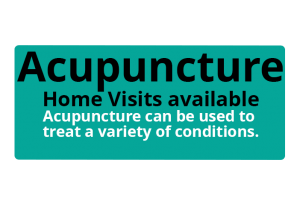 Our home visit service offers you the opportunity to receive your treatments from the comfort of your home, taking away all the difficulties of going to a clinic, while still experiencing the same level of professional acupuncture treatment received if attending a clinic. You feel more at ease when your being treated in your own home. You can’t find a babysitter to look after the kids while you look after your health. You are immobile or feeling frail and unable to make the journey to a clinic.